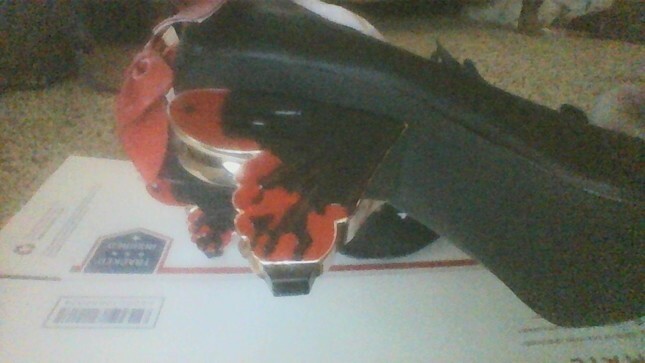 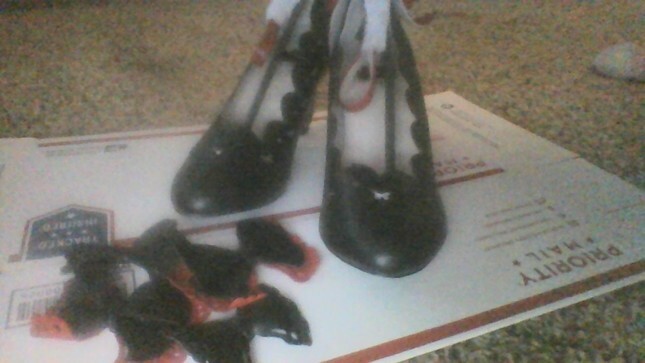 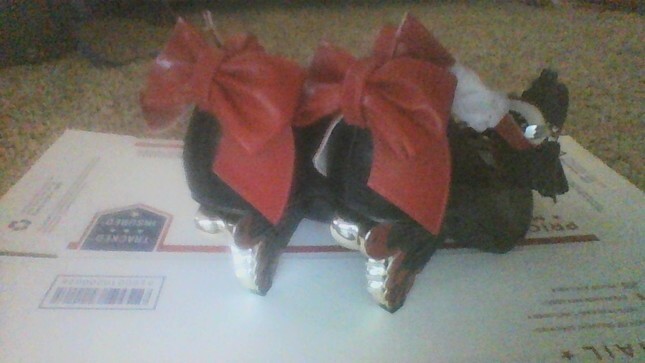 Well made black and red offbrand shoes with a heel shaped like a butterfly, butterfly cutouts around the sides. 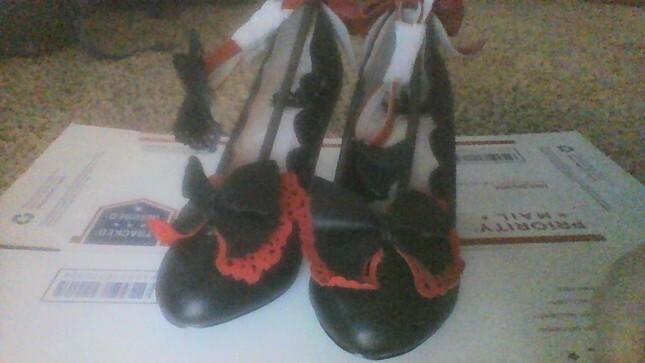 The main front bows and the bows on the straps are detachable, the back bows are not. 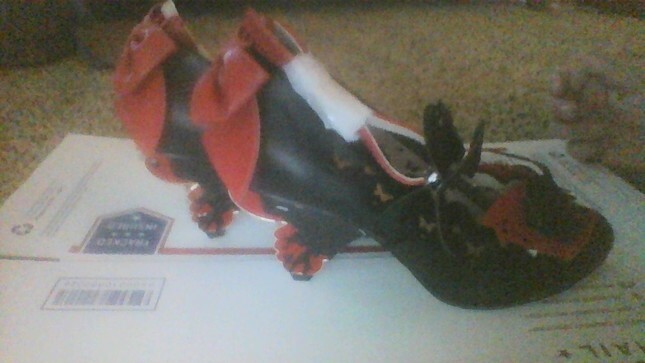 I am selling beside they did fit but its a little snug and I didn't realize I couldn't walk in heels.